28 January 2017 – a very festive occasion in the Corbett Center Auditorium on the NMSU campus. 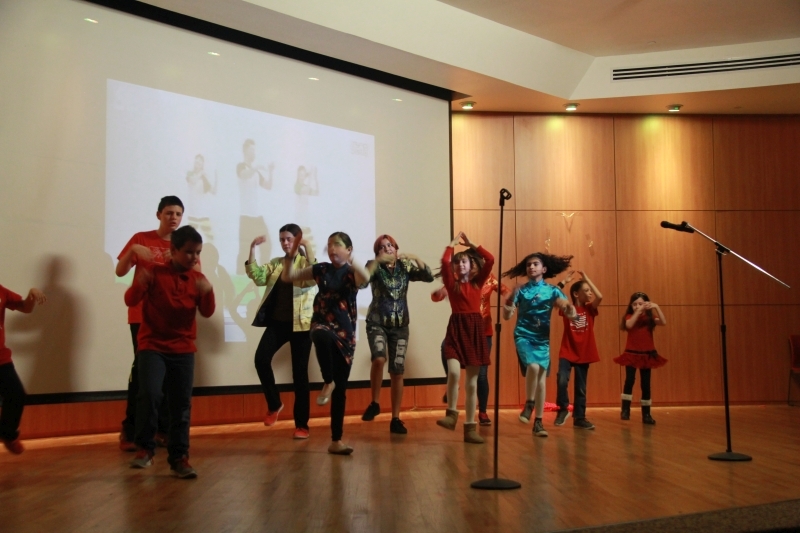 Our students were invited to be a big part of the New Year celebrations, which featured great songs, dances, and skits. We’re happy to be partners with the Confucius Institute and we deeply appreciate the work of our students and of our long-time teacher Mei Dai. This is her final New Year with us, alas; she is moving to Phoenix to join her husband in their new home. Xieh xieh, Mei! Look for our videos, too: a dragon dance by K-5 students (https://youtu.be/JAPpYilUADM), the Chinese national anthem (https://youtu.be/yBBjTxyVhUE), and the very catchy Little Apple song (https://youtu.be/XJJuJ-PBeIc).